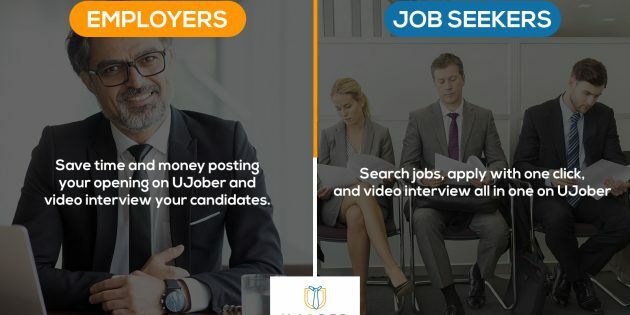 UJober the Video Interviewing Job Portal Employers and Job Seekers Need To Use — MooreSuccess Inc.
With the emergence of social media, our society has evolved for better or maybe worse, depending on your point of view. Social media has changed the way in which we operate as a society. Thus the employment realm has also been affected. Now that social media is the new thing and doesn’t seem to be changing anytime soon; it was only a matter of time before the employment sector would need to evolve. LinkedIn was the first social employment related site but it has turned into another Facebook. It has lost it’s touch and opened the door for a newcomer to bring exactly what jobseekers and employers need to streamline the hiring process making it enjoyable for both sides. UJober was born. So, what is UJober exactly? UJober is a social job portal similar to CareerBuilder, Indeed.com, and Monster but with more of a social media feel. It is different from LinkedIn, which has more of a Facebook style. Instead UJober has more of an Instagram style and feel making the site refreshing, fun, and efficient. UJober is a socially powered job portal. Unlike the traditional job portals UJober makes finding a job actually fun and exciting. Built on a social media style layout it is definitely a site that is easy to use and one you will certainly feel comfortable with. One of the cool features that UJober offers job seekers is the ability to follow employers of their choice. Whatever employer you follow you will receive their job openings in your news feed. But what if you don’t know what company to follow you ask? Simple, you just use the search bar to type in your job title and any openings will be listed. From there you can follow the employer and apply to any openings that you like. One of the biggest features and one that sets the site apart from others like it is the ability to interview for the job you applied to right on the site. Video interviewing is the wave of the future. Not only is it beneficial for the employer but it is also beneficial for the candidate. UJober offers video interviewing right on the site. With this feature jobseekers can save time and money. For example, let’s say you currently have a job but you are looking for something better. Your current employer is very strict on time and you don’t have any personal or vacation days you can use to go on an interview. This can leave you trapped in your current situation because if you take unauthorized time off you might lose your job and chances are you can’t afford to take days off without pay. Well, UJober offers the perfect solution. You can still apply as usual and if you’re selected for an interview you can now video interview once you get off for your current job without harming your paycheck. Trust me I’ve been there before. The way it works is the employers sends a list of questions for you to answer. You record yourself answering the questions and send the video in. From there the employers will review your answers and you can actually be hired from your interview. Let’s look at another benefit of video interviewing. Let me ask you this question…how many times have you went on an interview to only be told you weren’t selected or even worse not even hearing back from the employer? I know I have. It was a complete waste of my time. If I would’ve been able to video interview the process could’ve been better as it wouldn’t had cost me taking off from work and traveling to the job site. I could’ve video interviewed at a time that was convenient and saved myself the hassle. So, do yourself a favor and utilize UJober to save yourself the headache. Video interviewing saves you time which essentially saves you money. Take advantage of the site and its features to find your dream job today. If you’re currently looking to make a move with your career or will be soon UJober is for you. It’s free to use and offers you the ability to be hired without essentially wasting your time and money. Not to mention UJober makes the job search fun and exciting. Take advantage of UJober and start applying for your dream job today. Visit https://UJober.com to get started today.